Welcome to the Body Happy class page. We have two general classifications for our classes, Total Body and Body Stability. Our Total Body classes give you an all over workout, utilising a variety of gym equipment, as well as your own body weight, to improve your strength and cardiovascular system. The Body Stability category includes classes, which still give you a whole body workout, focusing more on stability, movement and well-being. These classes still challenge your strength and cardiovascular system. To book a space on any of our classes contact either Jenny on 07786557998 or sign up to a Move GB account. Classes cost £7.50 per person. Classes are popular however, so you will need to reserve your place in advance. The classes are held at our Hove Fitness Studio. 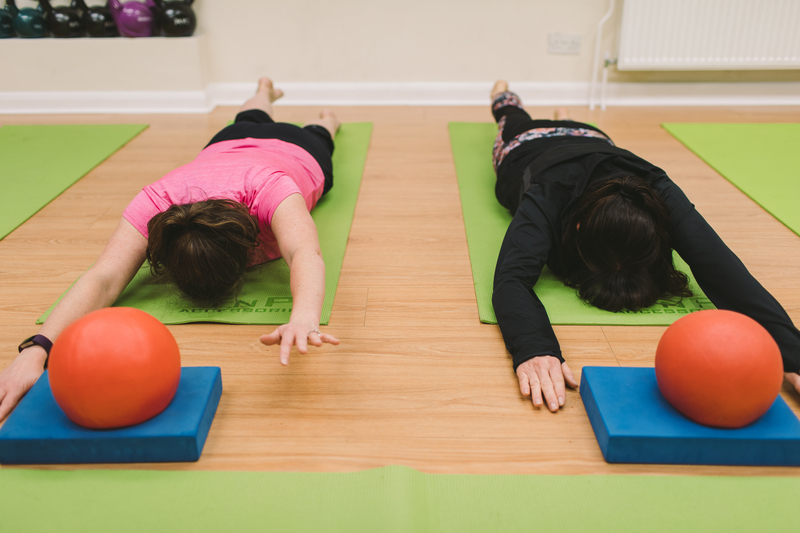 Pilates is a highly effective method of exercise to strengthen and tone your body, with particular emphasis on your “core” – a complex series of muscle around your abdomen, lower back, hips, and pelvis. Your core is incorporated int almost every movement of your body and working on these muscles can transform how you look and feel. Having a strong core is important for optimum health and vitality. You will leave my Pilates classes feeling invigorated and ready to take on the world. For more information on the Pilates class and what to bring read our blog Pilates Classes for Strength and Vitality. Fit Steps is an energetic, up beat dance fitness class featuring all of your favourite strictly dances. It is designed to give real, measurable fitness results. It is suitable for all ages and abilities and you don’t need a partner. You will have so much fun you won’t even realise you are getting fit! This Body Happy class is a fast-paced class where you do one exercise for a prescribed time/number of repetitions before moving on to another exercise for a prescribed time/number or repetitions. You will complete a number of exercises (5-10) before resting and repeating. All participants will begin at a station – which has a specific exercise to perform. Once the prescribed time is up, the instructor will ask you to move onto the next exercise. The class will give you an all round challenge testing both your cardiovascular and muscular systems – strength and endurance. The circuit is designed in different ways each week to give variety using different exercises or a different format focusing on more aerobic exercises, muscle endurance exercises to a combination of the two. For more information on Circuits and what to bring read our blog on Body Happy Circuits. Do you feel that lunchtime lull? Come and take part in our HIIT* class where we will boost your energy levels with a series of progressive interval exercises, incorporating strength and cardiovascular movements. Rest Time – how long you are resting for between exercises/rounds. Rest – is it active, moving around, a core exercise or stationary, taking on water. Volume – how many intervals, rounds to complete. All abilities welcome as exercises will be tailored to the right level for you.